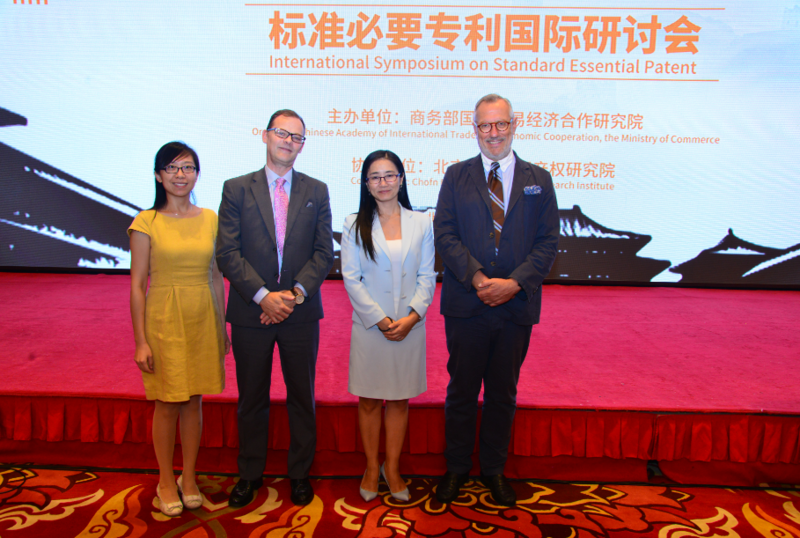 Sponsored by the International Trade and Economic Cooperation Institute of the Ministry of Commerce, the International Symposium on Standards Essential Patent was held in Beijing on September 8, 2017. With wide concerns, the meeting attracted nearly 200 participants from standardization and IP stakeholders around the world. In the first subject of the meeting, i.e. 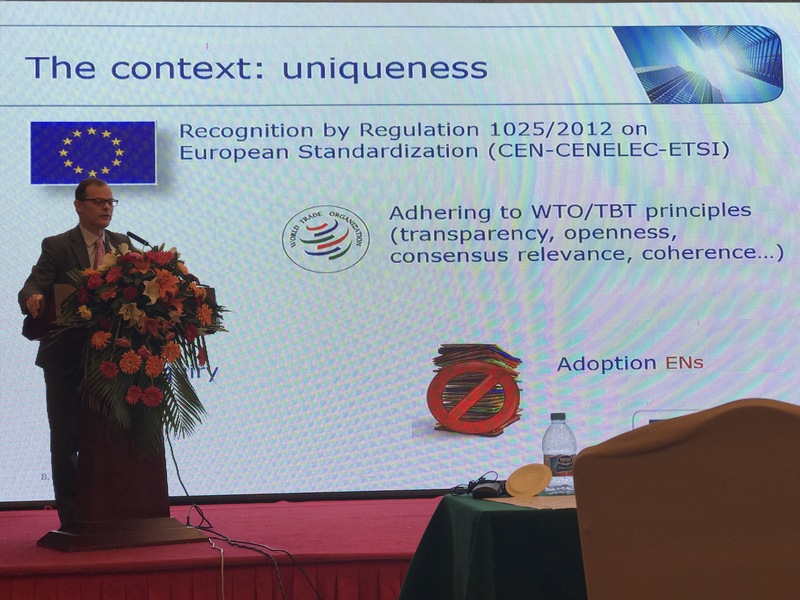 “Global Governance for SEPs”, Ms. Xu Bin, Director of the Seconded European Standardization Expert in China (SESEC) was invited to be a compere, and Mr. Bardo Schettini Gherardini, Director of the Legal Department of CEN /CENELEC, and Mr. Christian Loyau, Director of the Legal Department of ETSI, were invited to give speeches on the position of CEN / CENELEC and ETSI on SEP global governance, respectively. They highlighted the importance of seeking a balance between patent holders and patent implementers in their presentations, which will help find the best solutions for this matter. Mr. David Ringle from IEEE also introduced the revised IEEE intellectual property policy and its impacts on standardization. 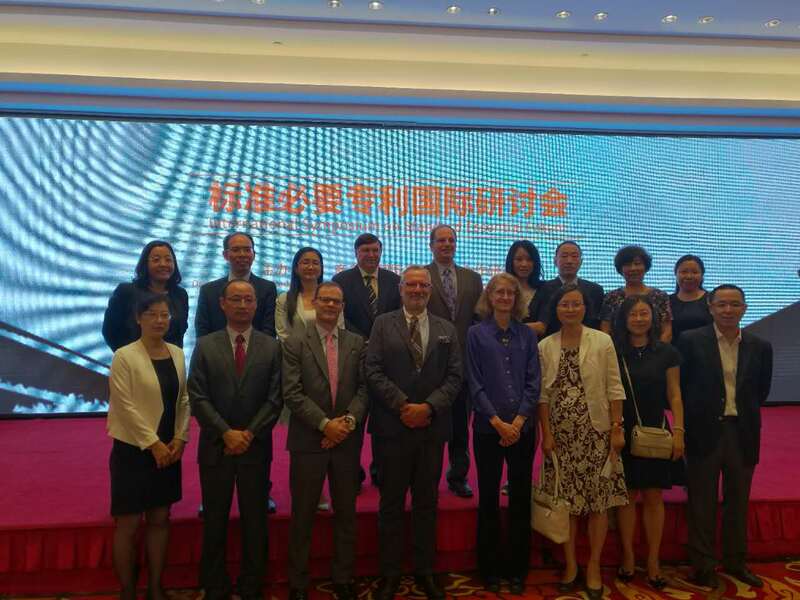 As the host, many Chinese SEP stakeholders, such as the National Development and Reform Commission (NDRC), State Administration for Industry and Commerce (SAIC), National Intellectual Property Office (NIPO), China Institute of Standardization (CIS) put forward their own views as well on the subject. The participants also made sufficient communications on other subjects, including “fair, reasonable and non-discrimination (FRAND)” principles and injunctive relief, SEPs data analysis and FRAND royalty rate calculation, as well as other SEP frontier issues. Representatives from the Supreme Court, Beijing Intellectual Property Court, WTO, Ministry of Commerce, China Academy of Information and Communication Technology (CAICT), China Communications Standards Association (CCSA), Central University of Finance and Economics, and enterprises, such as Qualcomm, Ericsson, Apple, Microsoft, Sony, Huawei, ZTE, and Meizu, brought their understandings and valuable suggestions for the SEP issues, especially in the aspect of FRAND royalty rate.